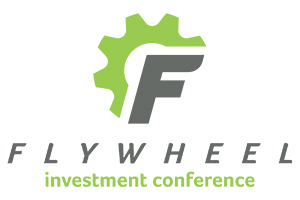 The Flywheel Investment Conference is an annual full-day event that generates momentum and resources for early stage companies. The Flywheel Conference is a unique opportunity for angel investors, venture capitalists, entrepreneurs, startups and community members to come together to connect, learn, and develop resources for building companies. Held in downtown Wenatchee, WA, the event features an investment competition, educational seminars, keynote presentations, and after-party celebration. More information at www.flywheelconference.com. Tickets are on sale now at www.flywheelconference.com/tickets.